Tomorrow is May Day, the International Workers' Holiday in much of the world since the 19th century. In the Church's calendar it is also (were it not a Sunday - and in the "Extraordinary Rite" even on a Sunday) the feast of Saint Joseph the Worker (Sanctus Joseph Opifex). But, of course, the international workers' movement had grown up quite apart from any Church connection. The choice of May 1 as the Workers' Holiday had absolutely nothing to do with the liturgical calendar or even with the multitude of cultural and folk traditions associated for centuries with May Day. Meanwhile, until 1955, the Latin Church had celebrated the Apostles Philip and James on that date, presumably because it was the anniversary of the dedication of the Roman basilica that contains their relics (the Church of the 12 Apostles). The politically motivated invention of the feast of Saint Joseph the Worker necessitated moving Saints Philip and James to the next free day, which was then May 11. In the Paul VI calendar promulgated in 1969, Saints Philip and James got moved again - this time to May 3, a date now free thanks to the discarding of the Feast of the Finding of the Holy Cross. But perhaps more of a liturgical loss than the disrespect accorded the Apostles Philip and James by ignominiously bouncing them around the calendar was the permanent elimination of the slightly older (but conceptually richer) feast of the Patronage of Saint Joseph, extended to the Universal Church by Blessed Pope Pius IX in 1847 - and then, in 1870, after Saint Joseph was named patron of the Universal church, raised to the highest rank and awarded an octave. Originally on the 3rd Sunday after Easter, it was finally reassigned to the 3rd Wednesday after Easter in the 1911 liturgical reform of Saint Pius X. And there it stayed - until it was unceremoniously eliminated to make room for the newly invented feast of Saint Joseph the Worker. In contrast, contends DiPippo, the liturgical texts of St Joseph the Worker are a clumsy set of pieces, quite inferior to those of the earlier feast. If it were up to me (which it most certainly is not) I would retire Saint Joseph the Worker and restore Saints Philip and James to their traditional date. The Mass of Saint Joseph the Worker could then be retained for use as a privileged votive Mass to be celebrated in connection with Catholic labor celebrations, whenever and wherever such celebrations still occur. In any case, the old workers' movement, which Pius XII's feast was a liturgical effort to co-opt, is largely a thing of the past. But, as the current presidential campaign has demonstrated, the need for response to the deplorable social decline of the "working class" very much remains. For many people in our society - many who in an earlier era would have been beneficiaries of the labor movement - things have been getting noticeably worse since the very difference circumstances under which the feast of Saint Joseph the Worker was invented. The devotion to Our Mother of Good Counsel apparently originated in the town of Genazzano, Italy, where the Augustinians have had a monastery since the Middle Ages. 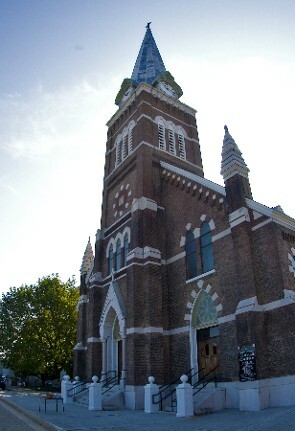 At some point, the friars were invited to take over a local parish church dedicated to Our Mother of Good Counsel. According to tradition, on April 25, 1467, the famous image of the Blessed Virgin Mary and the Child Jesus first appeared in the church. Legend has it that this same image had previously been venerated under a different title in Albania, but suddenly disappeared when Albania was being invaded. From Albania the image travelled on its own to Genazzano, where it acquired the name associated with the parish church. In more modern times, Pope Leo XIII added the invocation "Mother of Good Counsel" to the Litany of Loreto and elevated the church in Genazzano to a Minor Basilica. Pope Saint John XXIII visited the shrine prior to the second Vatican Council, as did Pope Saint John Paul II before reestablishing the Catholic Church in Albania after the fall of communism. The collect for the Mass of The Blessed Virgin Mary, Mother of Good Counsel (found in the Proprium Missarum Ordinis Fratrum Sancti Augustini) aptly expresses the permanent salience of this devotion: Lord, you know that our thoughts on earth are full of fear and uncertainty; through the intercession of the Blessed Virgin Mary, from whom your son took flesh and blood, send us the gift of counsel to teach us how to discern your will and to guide us in all we do. 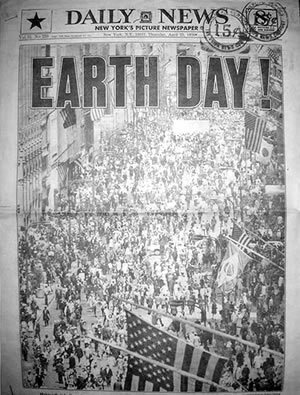 Last week's celebration of Earth Day 2016 reminded me of when "Earth Day" was new and exciting. I can remember attending its first celebration in Central Park in 1970. 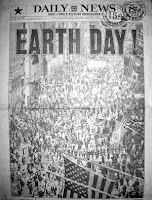 But, long before the invention of Earth Day, we had for centuries had Rogation Days! From the reign of Pope Saint Gregory the Great until that of Paul VI, April 25 (which, for some reason, was widely also thought to have been the date on which Saint Peter first arrived in Rome) was observed in the Roman calendar as one of the four annual Rogation Days. The April 25 celebration was known as the Litanaie majores (the "Greater Litanies"). The other three Rogation Days (the Monday, Tuesday, and Wednesday before the Ascension) were known as the Litaniae minores (the "Lesser Litanies") and were of ancient Gallican, non-Roman origin. I have previously written here [Cuckoo Day April 25, 2012] about the pre-Christian roots of the "Greater Litanies" in the ancient Roman Robigalia festival, one of ancient Rome's significant spring agricultural commemorations. Ancient peoples appreciated their dependence on the natural seasons and the harvest. The change in religion redirected the focus of people's prayers to the true Creator God. But that didn't change their dependence on nature or their need for a successful harvest or the value of ritualizing that on traditional days. Perhaps a rationalized late 20th-century Roman Liturgy's abandonment of such reminders of our connection - and dependence - on nature wasn't such a smart idea, after all. Neither the pre-conciliar liturgical movement nor the Second Vatican Council itself ever explicitly anticipated the abolition of the Rogation Days, prior to their disappearance in Paul VI's 1969 liturgical demolition. There was, admittedly, in certain quarters a view that the Rogation Days were not "in harmony with the spirit of Easter," and there were proposals to eliminate some and transfer others (cf. the 19th meeting of the Pontifical Committee for the Reform of the Sacred Liturgy, April 29, 1952). More modestly, the 1960 rubrical reform of Pope Saint John XXIII, while making no change regarding April 25, made the "Lesser Litanies" optional in private recitation of the Office and gave Local Ordinaries the faulty of transferring them to three other successive days which might seem more suitable locally (General Rubrics, 87, 90). On the other hand, expressing the deeper spirit and sense of the 20th-century liturgical movement, the esteemed Pius Parsch wrote: "The four Rogation Days have preserved the main elements of this venerable rite [the ancient Roman stational observance], an observance that we should respect and foster. for we should pray both perseveringly and in common, since special efficacy and power is attached to such prayer." No less than the calamities of Gregory the Great's time, today's environmental and other woes seriously threaten the Church, our world, and the planet itself. The case for recovering what was frivolously discarded half a century ago is, if anything, even more obvious than it was then! In the liturgical calendar of the Augustinian Order, April 24 is the feast of the Conversion of Saint Augustine. It was on the night of April 24, 387, during the Easter Vigil liturgy, that the Bishop of Milan, Saint Ambrose, baptized Augustine along with his son, Adeodatus, and some of his close friends. According to a famous 8th-9th century legend (attested to by Hincmar of Reims), after Augustine's baptism, Ambrose and his new neophyte spontaneously composed and sang alternate verses of the Church's great hymn of Thanksgiving, the Te Deum. On this basis, the Te Deum was formerly referred to in the Roman Breviary as Hymnus SS. Ambrosii et Augustini. But in the 20th century, Pope Saint Pius X's 1911 Breviary reform changed this title to simply Hymnus Ambrosianus. While there may be no historical basis to the Te Deum legend, if one were ever to pick an event which called for a Te Deum to be sung in thanksgiving, surely Saint Augustine's conversion - his return at a pivotal point in the history of the Latin Church to his childhood religion represented by his mother Saint Monica - would be on the short list of finalists! And, thanks to his own account in his justly famous Confessions, Augustine's conversion story is one of the best known and most influential in the history of the Church and in Western literature. Given Saint Augustine's amazing theological output in the four decades of public life in the Church that followed his conversion and his outsized influence in the history of Western civilization, his conversion would have been a monumentally important event, even if it had occurred routinely and without comment. As it happened, however, Augustine's conversion was recounted for generations to come to identify with, and it represented a thorough engagement with the "secular" culture of its time - the civic culture represented by his profession of rhetoric, the diminished but by no means dead paganism which Christianity was still struggling to replace, and attractive "new age" alternatives to traditional Christianity in the philosophical form of neo-platonism and heterodox religious expressions like Manicheanism. 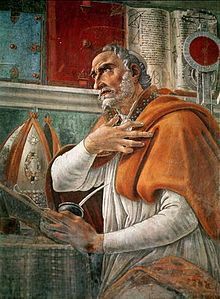 Augustine's personal engagement with Christianity's cultural rivals and his continued intellectual engagement with them after his conversion are certainly especially relevant again in this age when Christian religion is no longer established and Christian faith is everywhere challenged to recover its plausibility. Besides being Saint George's Day, England's patronal feast, tomorrow is also the anniversary of William Shakespeare's death - the 400th anniversary of his death in 1616 (and, it is widely believed by many, also the anniversary of his birth in 1564). To honor the occasion the Royal Mail has issued a set of 10 stamps for the United Kingdom, each with a memorable quote from one of his plays or sonnets. Shakespeare's words were more than memorable. He lived and wrote at a very special time in English history - and in the history of the English language. His plays, together with The Book of Common Prayer and the King James Bible have to count as the three greatest treasures of the English language. All three deal with the most important topics in human existence - all in words which touch us deeply and which are worthy of being remembered. More, perhaps, than any other three texts, Shakespeare, The Book of Common Prayer, and the King James Bible have formed the common culture of the English-speaking world. If today that culture is in some disarray, might it not be due in part to a contemporary loss in appreciation of (and even access to) those singularly precious highlights of our heritage? In anticipation of this happy occasion and its official celebration in June, the Church of England, of which Queen Elizabeth is Supreme Governor, has composed this simple prayer: Heavenly Father, who hast brought our gracious sovereign Queen Elizabeth to the completion of her ninetieth year, and dost gather her people in celebration of the same: grant that we, rejoicing before thee with thankful hearts, may ever be united in love and service to one another, and her kingdom flourish in prosperity and peace, through Jesus Christ our Lord. Longevity is certainly a great gift. Living to a happy old age and seeing one's children's children to the third and even to the fourth generation (in the time-honored words of the old wedding blessing) is indeed a great gift and blessing - not only for oneself but for the world. Thus, in Amoris Laetitia, Pope Francis quotes Pope Saint John Paul II on how the elderly help us to appreciate “the continuity of the generations”, by their “charism of bridging the gap.” And he quotes the 2015 Synod on how “many people can testify that they owe their initiation into the Christian life to their grandparents.” Older generations, Pope Francis reminds us, "help children to realize that history did not begin with them, that they are now part of an age-old pilgrimage and that they need to respect all that came before them. Those who would break all ties with the past will surely find it difficult to build stable relationships and to realize that reality is bigger than they are" (AL 192). How much more so does all this apply when the one whose length-of-years being celebrated is herself the embodiment of an institution that is all about a nation's ties with its past and a reality much bigger than the present! "The lack of historical memory," Pope Francis has reminded us, "is a serious shortcoming in our society" (AL 193). How widespread is the evidence of that shortcoming all around us today! How admirable in contrast is the institution she has embodied with such grace and dignity for over 60 years, faithful to the promise she made to her peoples in her 21st birthday speech on this day in 1947: "I declare before you all that my whole life, whether it be long or short, shall be devoted to your service and the service of our great imperial family to which we all belong. Would that more of us made and kept commitments of such seriousness! New York has voted. And, for a change, it actually mattered! One of the many ironies of our post-1968 primary-convention system is that, for all the nonsense about the newer system being so much more "democratic," it has regularly resulted in nominees being selected before big states like New York and California even get to vote. In 1972, California's Democratic primary (which was still "winner take all" then) effectively settled that race in George McGovern's favor. I can't remember California - the biggest state - or New York mattering that much since, now that Iowa, New Hampshire, some southern states and the imprimatur of media commentary have usually decided the nomination race long before those big states get to vote. But it was different this year. Trump's overwhelming victory in his home state may not absolutely guarantee him the Republican nomination, but it certainly makes the prospect much more likely. Likewise Hilary Clinton's win in her adopted home state makes Bernie Sanders' continued campaign seem not only frivolous but increasingly a distraction from the real contest between Clinton and Trump - and all that that critical contest signifies for the present and future of our country. After decades of enforced newness of one sort or other, I am admittedly instinctively suspicious whenever I encounter the word "new." Prescinding from its all too trendy title, however, the Archbishop's talk offered much to engage with and meditate upon. Archbishop Welby invited his hearers "to look outwards and forwards" to address two particularly pressing issues - religiously motivated violence and climate change. Like the Anglican Communion itself, both challenges are global in nature. they are also, as he noted, generational, in that they will take a generation or more to resolve. Both, moreover, "can only be confronted with a theological and ideological approach and with a stroy, with a narrative, that is sufficiently powerful to overcome the natural selfishness of one generation, or the selfishness of countries which are more secure." I was particularly impressed by the theological way in which he addressed the generational dynamic in climate change. "The church exists in space and time. We are joined by baptism to all past and future Christians. Unless Christ first returns, the fate of those who belong to the church - let alone the rest of humanity - in 2116 matters deeply to us now.." On the one hand, "for human beings to make the decisions necessary, requires the overcoming of our natural selfishness with a greater force." On the other hand, "that force is the call of God to intentional discipleship across time as well as space." So we must first recognize "our selfishness, our human fallenness." Then, "we must reassert solidarity with one another - with all of one another - but also with generations not yet seen." the solidarity Welbey invokes "is based in the essential human dignity of every individual in creation and salvation. And the demands of solidarity increase inversely to the weakness of the person we see." One of the threats to such solidarity is social media, which brings "presence without relationships." How does the Church respond? What we need, Welby says, is to express these ideas "with a story that we can tell that is more beautiful than the self-interested stories of those who promote conflict or pillage our planet." And that story is the story of Christ, in whom God shows us "that God is on the side of the world, and of every human being, seeking changed hearts that lead to life, not death." Unlike so much of the language of our current presidential campaign, here we hear language which really speaks to the heart of what is at stake in our threatened world. "We get our religion from Rome but our politics from home." So, supposedly, said Senator John F. Kennedy before running for President, presumably quoting conventional wisdom about Catholic participation in American politics. History has proven him largely accurate. So there is little reason to assume that the Pope's recent handshake with Senator Bernie Sanders will likely affect many votes in New York or elsewhere, any more than the Pope's previous critique of Donald Trump's position on immigration is likely in the end to sway many votes. And that is in spite of all the media speculation on the subject - or, as might be said in Rome, all speculation to the contrary notwithstanding even if worthy of special mention! Centesimus Annus, as its title indicates, was written to mark the hundredth anniversary of Pope Leo XIII's encyclical Rerum Novarum, and is thus to be seen as part of a developing magisterial tradition of papal pronouncements on social and economic matters continuing up to and including Pope Francis's encyclical Laudato Si' last year. "There are," said Senator Sanders, "few places in modern thought that rival the depth and insight of the Church's moral teachings on the market economy." Indeed! If only more politicians - and the general voting public, for that matter - recognized that! Citing Pope Leo's groundbreaking 1891 encyclical's reference to "the enormous wealth of a few as opposed to the poverty of many," Sanders pivoted to today's situation. In 2016, Sanders noted, "the top one percent of the people on this planet own more wealth than the bottom 99 percent, while the wealthiest 60 people - 60 people - own more than the bottom half - 3 1/2 billion people." From such stark facts, Sanders draws the evident conclusion that "we must reject the foundations of this economy as immoral and unsustainable." Sanders may or may not prove to be the better candidate to address these issues in the general election. That is a question of prudent political judgment, which may be left to the voters in New York and elsewhere to decide. But he has certainly succeeded - probably more than he had ever initially expected - in putting the issue of capitalism's massive moral failures front and center in our American electoral politics, even as Pope Francis has helped move that same issue on the global stage. "The issue of wealth and income inequality," Sanders reminded the meeting of the Pontifical Academy, "is the great economic issue of our time, the great political issue of our time, and the great moral issue of our time. It is an issue that we must confront in my nation and across the world." Yesterday, I welcomed to my church a local group from the American Institute of Architects, who were doing a walking tour of five historic downtown churches. It was a great honor that Immaculate Conception was included as one of the five - and the only Roman Catholic Church among the five. I have been very fortunate in my 20 years of priesthood to have been attached for many of those years to two beautiful churches - a very large and beautiful one in New York and a small and beautiful one here in Knoxville. In both I experienced how the beauty of a special place, set aside for divine worship and reverently so maintained for 130 years, is itself a powerful expression of invitation and welcome. There is a reason why we build beautiful churches. From time immemorial, human beings have dedicated and set aside from profane uses special places in which to express the distinctly sacred character of humanity's relationship with God. An special contribution of Christianity to this universal human activity has been the need to construct temples that are not only sacred sites set apart for one single purpose but also (in order to achieve and reveal that purpose) are designed for a congregation to assemble within them. For the church building, besides being a house of God, is a house likewise for God's People, themselves being built up like a building and of whom the church building is itself a fundamental image. So the magnificence and beauty of a church building not only offers human honor to God but also expresses the beauty which we believe attaches to the Church community itself, as the Body of Christ continuing the Risen Lord's life and work in the world. 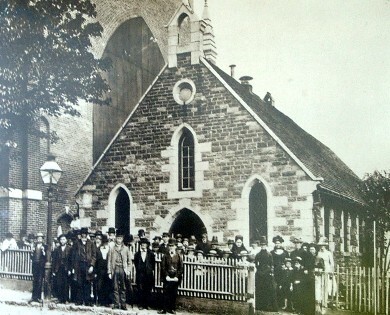 What a privilege it is, therefore, to build a beautiful church, to worship in one, to minister in one! And what a sadly missed opportunity whenever a church is artistically impoverished because of short-sighted considerations, however rationalized by the spirit of an ugly time! In 427 B.C., the city-state of Mytilene on the Greek island of Lesbos provided the occasion for one of history's great debates on political morality among the citizens of Athens, a debate famously recounted by Thucydides in Book 3 of his History of the Peloponnesian War. Today, Mytilene and the island of Lesbos were in the news again - and once again in connection with a political issue of profound moral significance. The occasion this time was a visit by Pope Francis to call attention again (as he did at Lampedusa in Italy in 2013) to the plight of immigrants to Europe. On Lesbos, the Pope also met up with the Ecumenical Patriarch of Constantinople Bartholomew I and Greek Orthodox Bishop of Athens and All Greece Ieronymos II, whose guest the Pope was in Greece. The divisions between the Catholic and Orthodox Churches are old and deep. Even so, the Pope, the Patriarch, and the Archbishop came together to form a united front in the face of this contemporary humanitarian, political, and moral calamity. "We have come to call the attention of the world to this grave humanitarian crisis and to plead for resolution," the Pope said at the Moria Detention Center. There he told the assembled refugees that he wished to join the voices of people of faith "to speak out on your behalf," as he challenged the world to "respond in a way worthy of our common humanity." With comparable force, the Greek orthodox Archbishop Ieronymos spoke of the need to stop the "depreciation of the human person." In fact, of course, when it comes to solving political problems, the Pope's "divisions" (to cite Stalin's famous line) are obviously limited in their practical force. But it is usually the hope that the Pope's symbolic attention to an issue - and especially his personal presence in a place of suffering - will heighten awareness and concentrate public attention in a way which will lead those with actual political power to do something useful to alleviate the suffering and start solving the underlying problems. In this instance, however, the Pope went further than usual and actually did something quite practical (and simultaneously even more hugely symbolic). Leaving Lesbos, the Pope flew back to Rome with three Syrian refugee families - six adults and six children. The Holy See has agreed to assume responsibility for the 12, who will be cared for initially by the Community of Sant'Egidio. This was described by the Holy See's Press office as the Pope's desiring "to make a gesture of welcome regarding refugees." That is obviously is, but it is also a frontal challenge to those with actual political power to chart a new direction in dealing with this tragic state of affairs. In all the angst-ridden commentary that has accompanied Amoris Laetitia (on both sides), I have not noticed any reference to the Exhortation's most explicit treatment of Saint Paul's rule on unworthy reception of Holy Communion in 1 Corinthians 11:17-34. But the document does definitely address it in AL 185-186. The Pope begins by recalling that this text is usually interpreted outside of its context or in a generic sense, with the risk of overlooking its immediate and direct meaning, which is markedly social. In its markedly social, immediate and direct meaning, Paul's rule referred to a shameful situation in the community, in which while the rich enjoyed their food, the poor looked on and went hungry. The conclusion to be drawn from this is stark: Those who approach the Body and Blood of Christ may not wound that same body by creating scandalous distinctions and divisions among its members. ... When those who receive it turn a blind eye to the poor and suffering, or consent to various forms of division, contempt and inequality, the Eucharist is received unworthily. Now it certainly need not follow from this that there could be no other sins which might also make one unworthy to receive Communion. On the contrary, Church tradition has been quite clear in this regard. But what does follow is that the unworthy reception that (according to the Ordinary Papal Magisterium as expressed in this Exhortation) accompanies our indifference to the poor, or consent to various forms of division, contempt and inequality definitely deserves a lot more attention in discussions about the Eucharist. As I said in my homily on Holy Thursday, perhaps the Corinthians couldn’t quite help bringing the world with them to the Lord's Supper, just as we too can't quite help bringing some of our world with us to Mass! In that sense, certainly, we are all always unworthy. Domine, non sum dignus! It is that medicinal, healing, transforming dimension of the Eucharist which helps us to leave Mass different from who we were when we arrived, able to take something new with us when we go back out into the world, something very different from the same old stuff (e.g. various forms of division, contempt and inequality) which we are so easily tempted to bring in with us from the world. For the Eucharist is not some meal just like any other, and the community it creates is not some social institution like any other. What happens at Mass is meant to make us in an important way different from who we would otherwise have been, different from the world we came here from and to which we must for the time being return. In the run up to Amoris Laetitia's release, expectations were high on all sides. It is, of course, sad to have to speak of "sides" in the Church. But it can hardly be denied that "sides" do exist, and that on each "side" there were differing expectations, some quite apocalyptic (in both the favorable and unfavorable connotations of that word). Well, the document having been released, some very extreme statements have since been made on each side, along with more widespread satisfaction with the Exhortation's tone and appreciation of how it appears to try to resolve - or at least mute - some of the divide between the two "sides." In fact, New York Times columnist Ross Douthat has even called it "The New Catholic Truce." Thus the optimists on one side have highlighted the document's pastoral tone, its understanding of those in problematic circumstances, it reluctance to judge persons entirely in terms of such situations, its preference for mercy and inclusion, and its explicit encouragement to pastors to do the same in their day-to-day pastoral ministry in parishes. The pessimists on the same side, however, have highlighted (despite all the kind and gentle language) the Exhortation's insistence on reaffirming all the traditional doctrines. Meanwhile, on the other side, the optimists have been comforted by that unequivocal restatement of all the traditional doctrines, while the pessimists on that side (operating out of a seemingly permanent hermeneutic of suspicion of almost any development since 1960 or maybe 1570) see too many signs of openness to problematic practices, which - while not explicitly approved in the document - are likely to be interpreted (in the secular media especially) as being implicitly approved in it. The fact is all that four groups may be on to something in their perceptions, to at least some extent! It is certainly true that the Exhortation repeats and reaffirms the traditional teachings of the Church on the nature and purposes of marriage and on the permanence of marriage. Likewise it is also true that the document displays a great awareness of and sensitivity to the difficulties individuals and families experience in today's post-Christian culture, in which the traditional understanding of the nature, purposes, and permanence of marriage has become implausible to so many, inside as well as outside the Church. And the pastoral priorities proposed are all about accompanying people in such problematic circumstances, in spite of their situations, seeking to reach out and include all in the Church's life to the greatest extent possible. And the critics are certainly correct that some in the secular media have already interpreted this outreach and inclusion as a kind of free pass (or at least a step toward a free pass) to ignore the rules - the rules in this case being Mark 10:11-12 and 1 Corinthians 11:27-29. On the other hand, for those who want precisely that outcome and who want to interpret the document that way, its persistent refusal actually to say so seems to taint that supposed opening with a troubled conscience. And so the arguments continue - on both sides! All of which would seem, sadly, to leave a lot unchanged in the divisions within the Church community - divisions not just about divorce and remarriage but about the meaning of human nature and human sexuality, divisions which go all the way back at least to the divisions within the Church in the aftermath of Humanae Vitae. That situation has been one in which, as Ross Douthat described it in the New York Times, "the church's official teaching remains conservative even as the everyday life of Catholicism is shot through with disagreement, relativism, dissent." That may be overstating the case somewhat. But, to the extent that this is true (or perhaps just widely perceived to be true) it is not only an immediate problem but a long-term one, because it sets up a culture of mutual suspicion in which all initiatives to address contemporary problems appear tainted. But the fact is that the Church's mission and ministry, her teaching and her pastoral practice, are only viable when they simultaneously are authentically faithful to divine revelation and the Church's traditional teaching and also translate what the Church has received and teaches for it to be received in turn by those who are either still outside the community or are inside but for whatever reason are marginal or peripheral. In the life and mission of the Church, fidelity and accompaniment are like the two ends of marriage, and like them cannot be arbitrarily separated without calamitous consequences. That likely excludes some of the more extreme positions on each of the two opposite sides, but still leaves a lot of space in the center, where both fidelity and accompaniment are valued and desired. Indeed what growth and evangelizing energy have nonetheless characterized the Church's life here in the United States (and even more so in many other places) have been rooted both in fidelity to revelation and tradition and in an openness to a constantly revitalized emphasis on the essential mission of the Church, as that mission has been understood ever since the Council of Jerusalem. Of course, that doesn't do away with all difficulties and disagreements, which will be always with us this side of heaven. But it does contextualize them within what the Church's proclamation of the Kingdom of God is primarily about. Amoris Laetitia - "Accompanying, Discerning and Integrating Weakness"
Chapter eight's tone is set immediately with the opening observation, following the Synod, that, although the Church realizes that any breach of the marriage bond "is against the will of God," she is also "conscious of the frailty of many of her children" (AL 291). While that is hardly controversial, the Exhortation moves into more contentious territory when it observes that, while some forms of union radically contradict the ideal of Christian marriage, others realize it in at least a partial and analogous way and that the Church does not disregard the constructive elements in those situations which do not yet or no longer correspond to her teaching on marriage (AL 292). What the Exhortation is dealing with here is what I tend to think of analogously to how different churches, ecclesial communities, and other religions are connected in varying ways and at different levels with the Body of Christ in its fullness. Likewise, within the Church itself, different people at different times find themselves connected in varying ways and at different levels with the fullness of the Church's communal and sacramental life. The first such situation it tackles is those in a merely civil marriage or, with due distinction, even simple cohabitation. Depending on the circumstances, such situations can provide occasions for pastoral care with a view to the eventual celebration of the sacrament of marriage. What is being called for here is not an affirmation of contemporary cultural tendencies but rather pastoral discernment to discover what in someone's situation can lead to a greater openness to the Gospel of marriage in its fullness and can foster evangelization and human and spiritual growth (AL 293). The Exhortation invokes Pope Saint John Paul II's "Law of gradualness," which in this context means a gradualness in the prudential exercise of free acts on the part of subjects who are not in a position to understand, appreciate, or fully carry out the objective demands of the law. (AL 295). When I was writing my sabbatical paper 11 years ago, the traditional language that seemed most suitable to me in this regard was that of "invincible ignorance." Can we speak today of a kind of social "invincible ignorance" - false and impartial understandings of moral requirements that are so widespread in contemporary culture that it is plausible that sincere people in good faith simply cannot comprehend traditional moral requirements? I think we can - and must - think and speak that way. As the Exhortation itself notes, one may know full well the rule, yet have great difficulty in understanding "its inherent values" (AL 301). In this regard in speaking of morally mitigating factors, the Exhortations acknowledges forms of conditioning (AL 305). With this in mind, the Exhortation turns to the discernment of Irregular Situations. (Critics have noted that the Exhortation puts the traditional term "Irregular" in quotes, which is obviously odd at best, and possibly troubling at worst.). The Church's way, the Pope proposes is not to condemn anyone for ever; it is to pour out the balm of God's mercy on all those who ask for it with a sincere heart (AL 296). But what of one who does not sincerely seek God's mercy? Naturally, if someone flaunts an objective sin as if it were part of the Christian ideal, or wants to impose something other than what the Church teaches,he or she can in no way presume to teach or preach to others; this is a case of something which separates from the community (cf. Mt. 18:17). Yet even in such a case the Exhortation hopes there can be some way of taking part in the life of the community, whether in social service, prayer meetings, or another way that his or her own initiative, together with the discernment of the parish priest, may suggest (AL 297). The logic of integration is the key to their pastoral care (AL 299). Clearly the Pope prefers to avoid being expected to provide a new set of general rules. He relies on the idea that differing degrees of subjective moral responsibility should result in differing consequences or effects of a rule (AL 300). In fact, discernment can recognize that in a particular situation no grave fault exists (AL n. 336). On the other hand, the Pope also strongly wants to avoid the grave danger of misunderstandings, such as the notion that any priest can quickly grant "exceptions," or that some people can obtain sacramental privileges in exchange for favors (AL 300). The Exhortation's treatment of factors which may diminish culpability and responsibility is traditional and recalls Saint Thomas Aquinas' Aristotelian teaching that the more we descend to matters of detail, the more frequently we encounter defects (AL 304). To an ordinary reader, it must seem as if the Exhortation in this section keeps see-sawing back and forth between upholding principle and being merciful to human weakness. To show understanding in the face of exceptional situations never implies dimming the light of the fuller ideal, or proposing less than what Jesus offers to the human being (AL 307). But I sincerely believe that Jesus wants a church attentive to the goodness which the Holy spirit sows in the midst of human weakness, a Mother who, while clearly expressing her objective teaching, "always does what good she can, even if int he process, her shoes get soiled by the mud of the street" (AL 308). This highly personal statement by the Pope gives it all away, so to speak, in terms of his pastoral priorities and strategy. This is what has made his ministry of merciful outreach so popularly attractive, while at the same time also causing concerns. The Pope concludes this section by referencing the current Year of Mercy, which we might consider the institutional expression of his pastoral strategy. The Year of Mercy, as he has already reminded us, is not just about experiencing and accepting God's mercy toward us, but is also about expressing and showing mercy toward others. Mercy is not only the working of the Father; it becomes a criterion for knowing who his true children are (AL 310). Perhaps the prime interpretive key to the Pope's approach in this section is a shift from preoccupation with how God judges a person's act or situation to how we in the Church respond to and treat the particular person who finds him or herself in that situation. All of which brings us to the topic of the next post - the issue of how this Exhortation has been and will be received within the Church and the kinds of problems which may arise in this process. Pope Francis begins chapter six of his Apostolic Exhortation (“Some Pastoral Perspectives”) by referring back to the dialogue that took place during the Synod, which he claims raised the need for new pastoral methods (AL 199). What is being emphasized here, however, is not so much novelty as a response to the deepest expectations of the human person (AL 201). Since pastoral care occurs primarily in parishes, the Pope (again following the Synod) highlights the need for a more extensive and interdisciplinary, and not merely doctrinal, formation of seminarians in the area of engagement and marriage, and suggests they should combine time in the seminar with time spent in parishes (Al 203). Of course, the Pope is writing for the entire world, but I have to doubt that there are many – if any – seminaries in the US (and elsewhere) where seminarians do not spend time in parishes as a requisite part of their training. Actually one of the problems facing seminary education today may be the constant piling on of more and more requirements for this or that additional practical training. The challenge, I suspect, is probably less to add more time doing this or that practical activity but rather somehow to focus attention on better integrating academic theology and pastoral practice in a life which will require facility in both. The Pope proceeds then to a discussion of preparation for marriage, which the Synod said required greater effort in view of the complexity of today’s society and the challenges faced by the family (AL 206). In actuality, of course, marriage preparation programs vary greatly in length and depth and in their relationship with the overall experience of parish life. None of this is new, of course. What does stand out particularly positively in this section, however, is the emphasis on the significance of the family of origin in preparing couples for marriage. Those best prepared form marriage a e probably those who learned what Christian marriage is from their own parents (AL 208). On the one hand, this is plain commonsense. On the other, it highlights how the widespread breakdown of Christian marriage in contemporary society spreads inexorably from generation to generation and what a challenge it really is to try to undo this. Parenthetically, the Pope proposes the pastoral value of traditional religious practices. He has gotten some attention for the example he gives of Saint Valentine’s Day and his observation that commercial interests are quicker to see the potential of this celebration than are we in the Church (AL 208). It would only be fair to point out, however, that it wasn’t commercial interests that dropped Saint Valentine’s Day from the Roman Calendar in 1969 but Pope Paul VI’s ill-considered reconstruction of the calendar. When I was in seminary, marriage preparation was extolled and weddings were presented as opportunities for evangelization. Only later did one experience what weddings are really like and how, in Pope Francis’ words, they drain not only the budget but energy and joy as well (AL 212). The Pope’s preference for a more modest and simple celebration is a challenge not just to brides and grooms but to the entire way we approach weddings in the Church and our widespread capitulation to secular wedding culture of rehearsal dinners, receptions, wedding videos, etc. More to the point, the Pope challenges us to a renewed emphasis on permanence in marriage. Freedom and fidelity are not opposed to one another; rather, they are mutually supportive, both in interpersonal and social relationships. Indeed let us consider the damage caused, in our culture of global communication, by the escalation of unkept promises (AL 214). Pope Francis freely dispenses much practical advice about how couples need to approach marriage, seeing life as a common project (AL 220). And, once again, he returns to the contemporary problem of contraception, explicitly invoking Humanae Vitae and Familiaris Consortio in order to counter a mentality th tis often hostile to life (AL 222). The Pope is aware that many couples, once married, drop out of the Christian community and challenges us to make better use of those occasions when they do return. He mentions the obvious occasions – Baptism First Communion, funerals, weddings – and also some occasions that would require more obvious outreach on our part, such as blessing homes or by bringing a pilgrim image of Our Lady to houses in the neighborhood. The overall point is that pastoral care for families has to be fundamentally missionary, going out to where people are. We can no longer be like a factory, churning out courses that for the most part are poorly attended (AL 230). The rest of the chapter is taken up with the various sorts of difficulties and crises contemporary families frequently experience. One example that reflects a contemporary kind of awareness concerns what happens when one family member is emotionally immature because he or she stills bears the scars of earlier experiences (AL 239). Many people leave childhood without ever having felt unconditional love. This affects their ability to be trusting and open with others (AL 240). And, of course, many married people for one reason or other eventually find themselves separated, divorced, or abandoned. Family breakdown becomes even more traumatic and painful in the case of the poor, since they have far fewer resources at hand for starting a new life. A poor person, once removed from a secure family environment, is doubly vulnerable to abandonment and possible harm (AL 242). The Exhortation stresses that the divorced who have entered a new union should be made to feel part of the Church and that the community’s care for them, far from being a weakening of its faith and testimony to the indissolubility of marriage, is rather a particular expression of its charity (AL 243). In particular, Christian communities must include and support divorced parents who have entered a new union in their efforts to bring up their children. That said, the Pope reaffirms that Divorce is an evil and the increasing number of divorces is very troubling. Hence our most important pastoral task with regard to families is to strengthen their love, helping to heal wounds and working to prevent the spread of this drama of our times (AL 246). Here we find ourselves entering some of the areas that have merited the most media attention. The Exhortation reaffirms the teaching of the Catechism that every person, regardless of sexual orientation, ought to be respected in his or her dignity and treated with consideration, while “every sign of unjust discrimination” is to be carefully avoided, particularly any form of aggression and violence (AL 250). That box having been checked, so to speak, the Exhortation then repeats the Synod’s reassertion that there are absolutely no grounds for considering homosexual unions to be in any way similar or remotely analogous to God’s plan for marriage and family.” It is unacceptable “that local Churches should be subjected to pressure in this matter” (AL 251). And that's all the Exhortation has to say on this topic, for all the attention it continues to receive in society at large. Since the Exhortation aspires to address family life in its totality, this chapter concludes with a reflection on the challenge of death in the family. The Pope proposes a spiritually practical approach to mourning (AL 255) and recalls the Church’s practice of intercessory prayer on behalf of the departed – maintaining fellowship with our loved ones by praying for them. Our prayer for them is capable not only of helping them, but also of making their intercession for us effective (AL 257). Having covered most aspects of the ongoing pastoral care of families throughout the life-cycle, chapter six is followed by chapter seven (“Towards a Better Education of Children”), which focuses on what has usually been understood as the main social function of families and the reason society cares so much about them. Again this chapter could stand alone as a separate treatise on Christian formation and socialization. I will return to that topic on some other occasion. It contains much counter-cultural pedagogy to consider and reflect on at greater length. Next, however, I want to jump ahead to chapter eight (“Accompanying, Discerning and Integrating Weakness”), which the Pope suggests everyone should feel challenged by (AL 7). This is, of course, the chapter on pastoral accompaniment, which is also the chapter that has gotten the most widespread public attention and scrutiny - and is perhaps the one which is most susceptible to conflicting interpretations. "And the Word Was Made Flesh"